The time is now to plan your defense for the 2019 allergy season. “Allergies are among the most common chronic conditions worldwide. Allergy symptoms range from making you miserable to more severe reactions.” According to the American Academy of Allergy Asthma & Immunity. According to allergy experts, an allergic reaction starts in the immune system. The function of the immune system is to protect the body from invading organisms that will compromise it and make it sick. Allergies occur when the immune system overreacts to substances called allergens and begins releasing histamine and other chemicals, causing an allergic reaction. A reaction can manifest in several ways such as sneezing, watery eyes and even rashes. A common type of allergies is dermatitis, skin allergies, which can have an instant reaction after touching something that you are allergic to, or it can have a slower response up to a few days later. Either way, it usually manifests as an itchy rash or hives on your skin that will often go away in time and can be treated by topical creams. NOTE: If at any time you experience severe symptoms like trouble breathing or swelling in the throat. Call 911 right away, this could be a life-threatening reaction called anaphylaxes. We’ve, also, compiled tips that can help protect and prevent you and family from the harsh effects of allergy seasons. PREPARE YOUR MEDICINE CABINET – Make sure that you have over-the-counter allergy relief medications readily available in the event of a reaction. Allergy seas is an excellent time to take inventory on your current stock and throw away anything expired. Keep in consideration that everyone in your family can suffer from allergies, but they may have different symptoms and dosage requirements. When purchasing allergy medicines consider everyone’s needs. In some instances, over the counter drugs don’t help and for these circumstances sign in or activate your MDLIVE account ahead of time. In case you need the service of an online doctor for a consultation, diagnosis or to send a prescription to your local pharmacy. KNOW WHEN ALLERGIES ARE AT PEAK – Do some homework and find what time of day the allergen that you’re particularly affected by is at highest peak and then choose to stay indoors during that time. For example, if you are allergic to pollen and it peaks in the afternoon, instead of planning a 5-mile run outside during that time, go to an indoor gym or do an in-house workout. SHED YOUR OUTER LAYERS – When you get home from the day’s activities, the first thing you and your family should do is to take off shoes, and outer layers that may have collected allergens throughout the day and contain them in a closed hamper. By doing so, it will help prevent the allergens from invading your home and continuing to be bothersome. A nightly shower will also help eliminate the threat. Even by practicing steps to avoid the effects of allergies they can still occur, and these occasions are when it’s beneficial to have MDLIVE online doctors available for consultation – day and night. The sooner you begin treating your allergy symptoms, the sooner you’ll start feeling better. MDLIVE doctors are also available to help figure out what is causing your allergy and which allergy medicine is right for you. 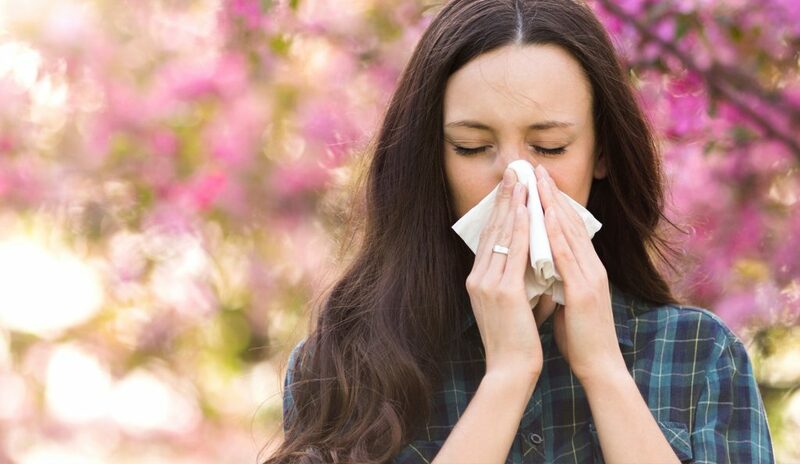 So, you can start treating allergies as soon as your allergy symptoms begin. Have a great, allergy-free Spring! Click below to see a doctor now about Spring Allergy Relief!